Below are frequently asked questions about Global Edulink’s Classroom Courses. We’ve tried to cover everything, but if you have a question that is not listed below, simply fill out the form or speak to a Course Advisor. We want everyone to have enough time with the tutor, so we limit the amount of learners. To avoid disappointment, we suggest you book early. We take bookings up until the first day of the course, as long as there is space. 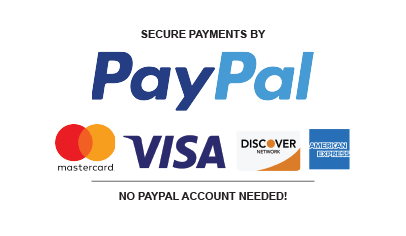 Global Edulink accepts payment via Credit Card and Bank Transfer. To find out please contact our customer Support Team – Contact Us. How do I make a change to a booking? As per our Cancellation Policy, a booking can be cancelled up to 10 business days before the course start date for a full refund. If you would like to make a change to your booking less than 10 business days prior to the course start date, please contact us. If I can’t attend can I give my place on the course to someone else? You may transfer your registration to a colleague or friend at no additional cost provided that they attend the same class. You can request the transfer in writing 48 hours before the course start date. Will I receive any materials prior to the course? Yes, you will receive free online learning material prior to the start of the course. We will also provide printed course materials on the first day of the course. You will be notified by email should you need to complete work before the course. Do Global Edulink courses provide accreditation? Yes, Global Edulink courses are accredited by various international awarding bodies (please see the relevant course page for further information). Also, we provide a Certificate of Completion recognised throughout the industry. How can I contact the Global Edulink Training team? Please submit any questions using our Contact Us form. A member of the team will get in touch with you shortly. Please enter your complaint to our Complaint form. Your training experience is very important to us. Please include the title ‘Complaint’ in the description section of the form and we shall prioritise your complaint. How many people are in each course? For the weekday and weekend courses there is a minimum of 5, and a maximum of 20 people per classroom. What support will I get on the course? All our courses are taught by experienced tutors, so you will receive the support you need. You can access the Global Edulink forums and community to discuss all aspects of the course with other learners. 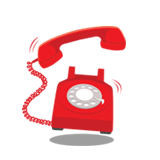 You will also have access to our help desk should you have any queries about your course, and you can call us at any time. What should I do if I am having problems registering for a class? Please contact our customer Support Team – Contact Us. What do I do if I can't find the class venue? What should I do if I decide I do not want to attend the course? Classroom and Virtual Classroom Course Cancellation Policy: To cancel and receive a full refund please contact our customer support team at least 14 business days prior to the start date of the course. If, for any reason, you cannot attend or wish to cancel less than 14 business days before the start of the course you will not be entitled to a refund, but a friend or colleague can attend the course in your place at no extra cost, please contact our customer support team to arrange this. Is there support for people with a disability? We are committed to making reasonable adjustments whenever practical to our short courses. If you have any questions or wish to check access or support then please contact us. We will liaise with our Student Support Service who are in contact with outside agencies and who might be able to support customers with additional requirements.